The tragic ending was not what the scriptwriter intended. Robert Towne wanted the heroine to escape to Mexico. Chinatown is a metaphor, the moment in lives when flawed individuals are surrounded by what is rotten. They are obliged to resist and will either be heroes or realise their impotency. The downbeat finale suits the metaphor but Robert Towne had a point. The revised ending emphasised the dilemma for modern man, the impossibility of achieving integrity without power. Because the ending reduces the female victim, it hints at an acceptance of sexism that the film has previously mocked but refused to condemn. Private eye movies are about men. If the film was made today, the investigator would be female, and her and Evelyn Mulwray would escape to Mexico. Chinatown is a luxuriant work of art, a creation of extremely talented people. It glories in precise detail and a measured tone that is consistent throughout the film. Through a nuanced performance a secretary resembles her boss. When Evelyn Mulwray collects her limousine, we see anonymous but iconic city architecture that defines modernity. The scene where working class Gittes has lunch with upper class Noah Cross is very well done, two confident men each able to deal with someone from a very different background. The movie is a pleasure to watch and it is correctly regarded as a classic. But Chinatown is flawed. Chinatown is a movie made by gifted adolescents for the smart and the hip who think they understand the future. The problem with modernity, though, is that the longer it lasts the more we recognise how clueless we are about what happens next. How unknowing we are. Like Madmen today, Chinatown says more about the time it was made than the era it creates. Jack Nicholson is perfect as Jake Gittes. He represents a generation that was unable to resist gratification. But whatever the faults of his generation, the adolescents of the 60s recognised the corrupt hypocrisy of their parents. In 1974 the young believed that they were superior to the old. Noah Cross is confirmation. The name suggests burden and the endless antecedence of evil. It also implies religious bigotry. Noah Cross no longer thinks about money, he has so much. Instead, like the religious, he wants to shape the future. Water is everywhere in the film. If Evelyn Mulwray had been allowed to live, like Towne intended, all the deaths in the film would have occurred in water. Noah Cross wants water so he can expand Los Angeles into a dry valley. The problem with the rich is not that they are greedy, everyone is. Water represents hope and opportunity, which is why the rich insist on owning it. Like bigots they need to monopolise hope. And if that was not enough, Noah Cross has fathered the child of his daughter. Today, many scandals later, we are not shocked by the knowledge of what the powerful do. 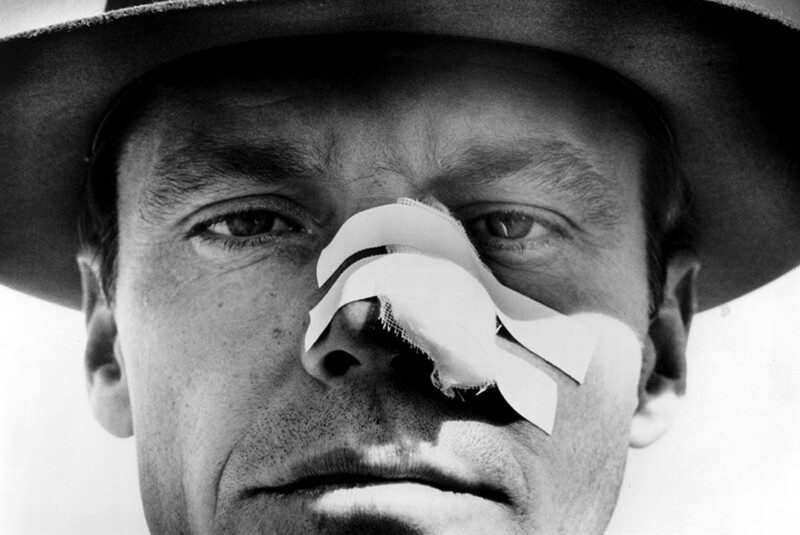 But we are surprised that Chinatown is more concerned with Jake Gittes than the female victim. Howard Jackson has had 3 books published by Red Rattle Books. His collection of horror stories called Nightmares Ahead will be published by Red Rattle Books in 2015. If you want to read more about American culture click here. Posted in Fiction, Film, Reviews and tagged Chinatown, cinema, Faye Dunaway, film, Hollywood, Jack Nicholson, movies on September 5, 2014 by Howard Jackson.